It’s great to see there is a focus in the NHS Long Term Plan on personalised health through technology – by giving patients access to their full records and enabling them to use online services. This can help alleviate pressure on GPs and practices – something I have seen with the use of the Evergreen Life app. The emphasis on primary care and mental health funding is vital for practices – having more, community-based, physical and mental health services will help support practices, enabling them to signpost patients to relevant services. The investment will, hopefully, provide more GPs and more community nurses, including health visitors. Our general practice is probably the most tech-enabled health sector in the world – and the NHS Long Term Plan intends to enhance this. I see this as good news, and believe that we all have a role in contributing to the thinking and the delivery, continuing to make healthcare safer, more convenient and more efficient. We are committed to developing the best person-facing ehealth services anywhere. There is little actual need to deliver information digitally via the NHS App, as many of these services are already being provided through other health apps. Rather, there needs to be more awareness-raising by the NHS, demonstrating and highlighting to patients the services already available to them. The NHS Long Term Plan has a welcome focus on health inequalities – though the solutions are probably out-of-date and, with the agenda on prevention, may increase inequalities. All local health systems will be expected to set out, during 2019, how they will, specifically, reduce health inequalities by 2023-24 and 2028-29 – so practices may become involved in thinking this through. There may be a welcome impact of this on primary care, with better services for the homeless, and people with learning difficulties, and a strong message on mental health. Let’s hope it comes to pass. 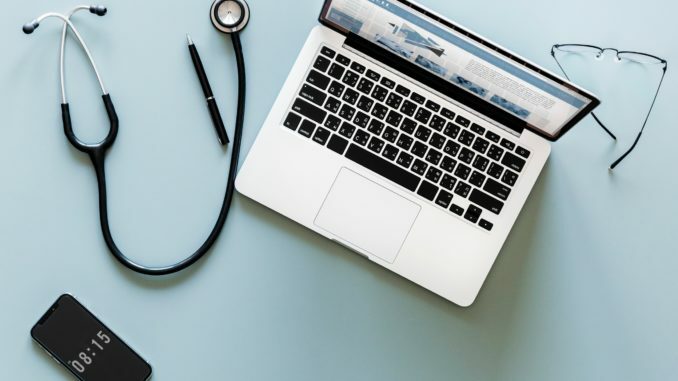 The NHS Long Term Plan appears to enable an influx of private sector primary care companies directly into the NHS to offer online clinical services in the form of online consultations to NHS patients. ‘Over the next five years every patient in England will have a new right to choose this option, usually from their own practice or, if they prefer, from one of the new digital GP providers,’ the report states. This would have a most destabilising effect, but it is in line with government policies. It appears that QOF will stay, but will be redesigned to reflect the plan’s new priorities. The NHS Long Term Plan does not include any detailed workforce plan – a huge gap – though it says this will be completed later. We still lack a plan for social care, which will have an additional impact on primary care when it is released in spring. Whilst the plan is well-intentioned and highly aspirational, sadly, it is unlikely there will be enough money to achieve all the transformations laid out within it – as the NHS has been underfunded for over ten years already. As a practising GP, and as an innovator as part of Evergreen Life, I welcome the plan. It is hugely ambitious, and there are likely to be problems for primary care in the detail but, in general, it offers primary care a brighter future. In future weeks Practice Business will be exploring the issues raised in the Long Term Plan in more detail. If you have an opinion you would like to share, we would love to hear it. Please contact our editor to discuss further.